Deirdre Maria Salsich is an Associate in the Albany, New York, office of Jackson Lewis P.C. 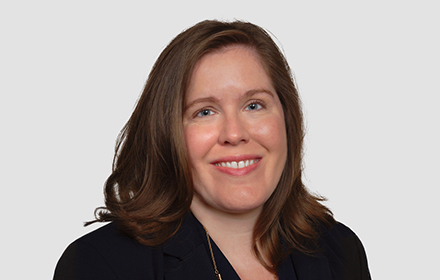 Her practice focuses on representing employers in workplace law matters, including preventive advice and counsel. Ms. Salsich has additional background in traditional labor law. She has extensive experience handling labor arbitrations, employee discipline, unfair labor practice charges and other labor matters. While attending law school at St. John’s University, Ms. Salsich was an Associate Editor of the New York International Law Review and received the American Bar Association/Bloomberg Award for Excellence in Labor and Employment Law. Ms. Salsich also participated in the Immigration and Refugee Rights Clinic, where she successfully represented an LGBT applicant for asylum, preventing his deportation and likely future persecution. Ms. Salsich was a two-time Academic All-NESCAC student athlete and captained the Women’s Crew team at Wesleyan University. Ms. Salsich attained fluency in Spanish through study in Buenos Aires, Argentina and Cuernavaca, Mexico.